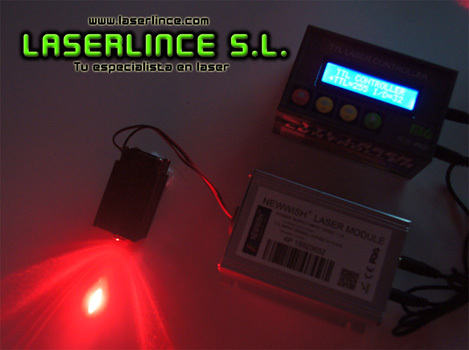 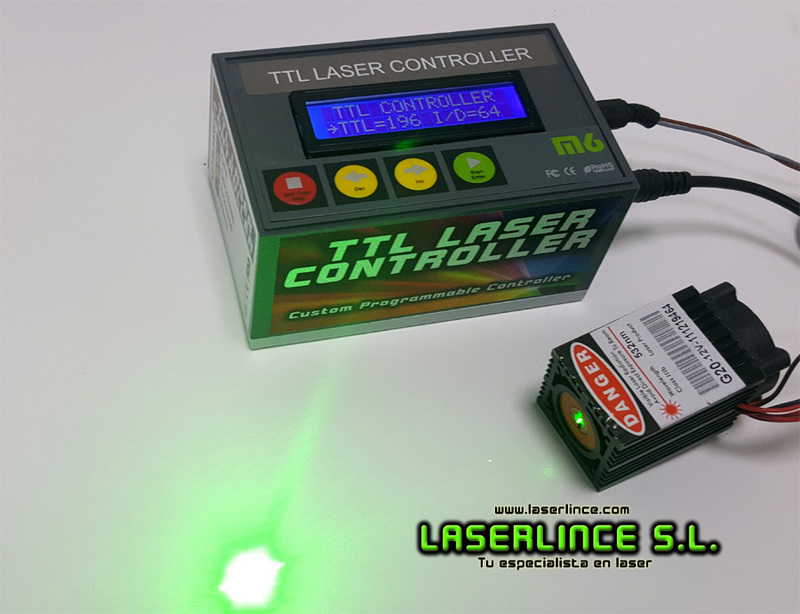 Digital controller for power regulation in laser modules (with TTL modulation). 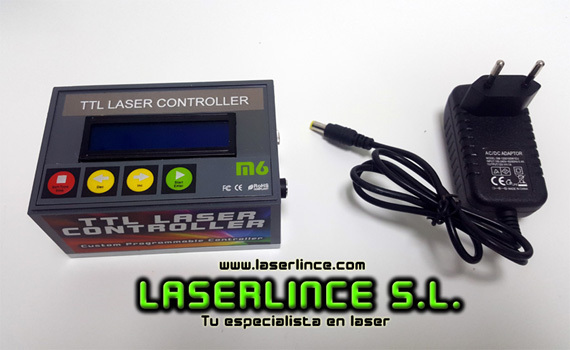 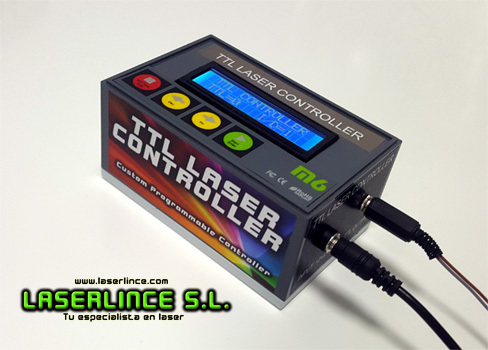 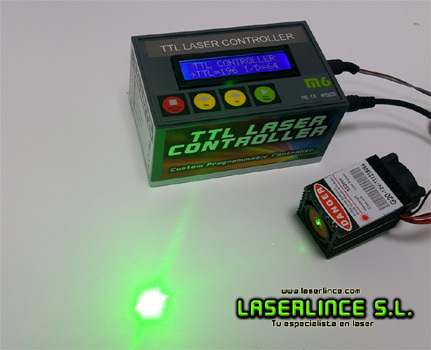 It allows to control the power of laser modules with TTL connection between values from 0 (minimum power) to 255 (maximum power), easily and quickly without installation. 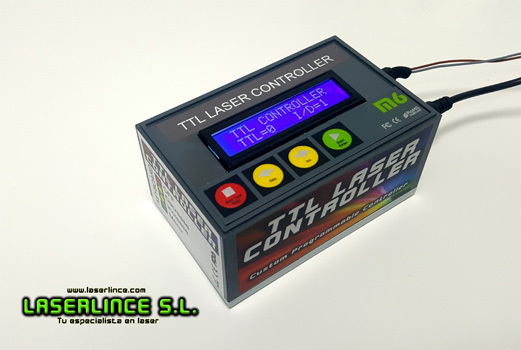 For convenience in power settings, you can set the power jump value (the power increase or decrement value) digitally from 0 to 255. 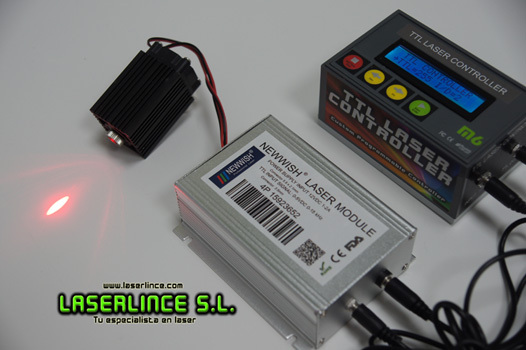 Includes 12V DC power supply. 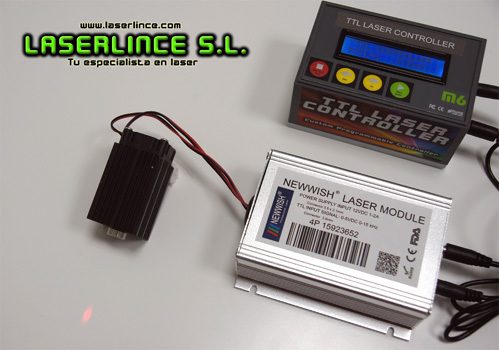 Includes 3.5mm male double audio type cable for direct connection with Newwish brand lasers.